Magnificent in their lonely wildness, the Ridgeways of Britain are humankind's earliest roads. 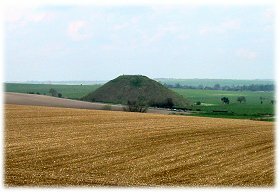 There are six great ridges radiating from Salisbury Plain and over five thousand years they have seen the building of forts and settlements and the creation of ritual burial sites which can still be seen to this day. Hundreds of feet above the vales the Ridgeways became long distance drove roads for sheep and cattle, smugglers routes, the haunts of highwaymen and ultimately their ghosts. These are roads rich in folk history. You can travel them today always on foot or horseback and often still by car or motorcycle. Though some Ridgeways have been reclassified as bridleways some remain as highways - as much real roads in the legal sense as the M1 motorway. 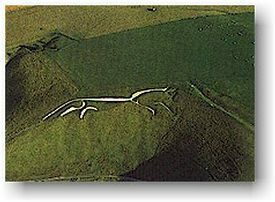 A testament to the Ridgeway's status as Britain's most ancient thoroughfares. 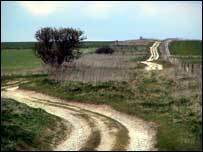 The longest of them is The Great Ridgeway itself, running from East Anglia to Lyme Regis. But wherever you see the great spines on the horizon, remember that these are the arteries of Britain's heritage and civilization. Alas the series is no longer being made, the Albion Band and The Ridgeriders Band are no more, but the memories live on in our hearts and minds, and as long as we have these things, so shall they and the landscape of Southern England be eternal and immortal. 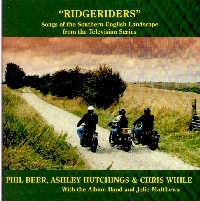 Ridgeriders was one of Meridian Broadcasting's most successful and popular television series. It had been a hit for the ITV broadcaster for the South and South East of England since it first started to be shown in October 1994. With its unique mix of ancient history, geography and classic motorbikes it reached a wide audience of all ages and interests. Charismatic presenter, Nick Knowles earned a loyal following over the years as he travelled the highways and byways of ancient man by motorbike, bringing to life some of the fascinating history that spans Southern England. 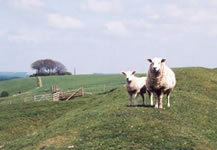 The series was shot entirely on location against the backdrop of some of the most beautiful countrysides in the South of England. In each programme Nick was joined by famous motorbike mad pop, soap, stage and tv personalities who were led through a fascinating history of each route, bring to life some of the fables and tales that surround the ancient sites they visited. Some of Nick's guests included Midge Ure, Neil Morrisey, Paula Hamilton, Jamie Theakston, Sean Blowers and Bear Grylls. 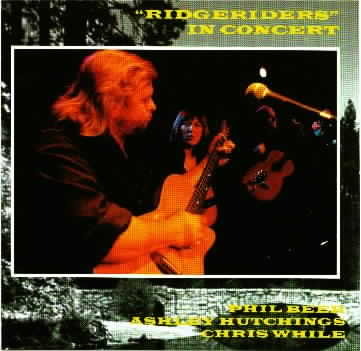 Ridgeriders was produced for Meridian Broadcasting by Hampshire based Topical Television. Some of the programme"purists" will perhaps note that there are a few of the links, on the right hand side, that are not a part of the Ridgeriders series, and you'd be right, but they do deal with some of the same areas of Southern England, thus we felt justified in including them in the listing, and they do add further dimensions to the website, as you will see as we travel along.